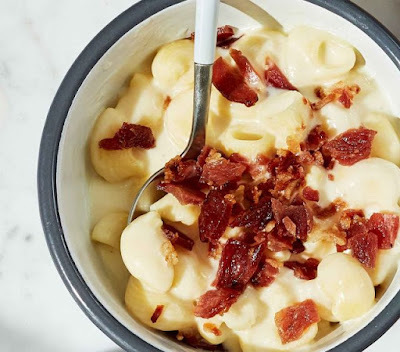 For a limited time, Panera is whipping up new Bacon Mac & Cheese but only for delivery orders. The menu item is a pretty easy lift for Panera as it's just their regular Mac & Cheese (shell pasta in a blend of cheeses and Vermont white cheddar cheese sauce) with the addition of chopped applewood-smoked bacon. It looks like the addition of bacon will run you 50 cents (may vary) over the price of an order of plain Mac & Cheese. 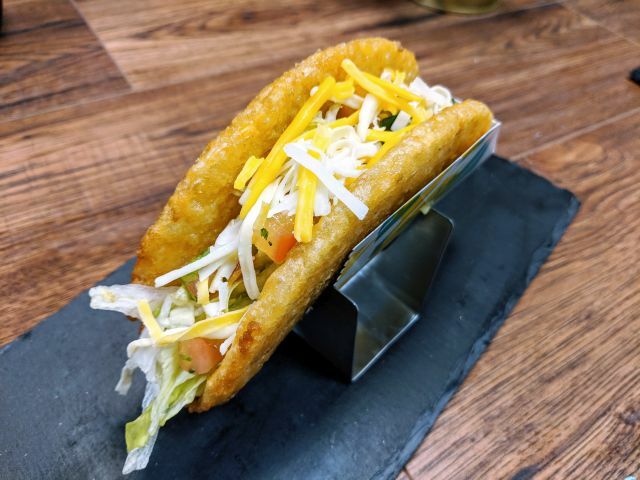 Of course, to get the item you'll have to live within the delivery range of a Panera restaurant that actually offers delivery service. Then again, you can always try asking them to add bacon to your order of Mac & Cheese.